I realize the Olympics ended yesterday, but I wanted to drop one final Vancouver Olympics secret. A week and a half ago, I did some research and crunched some numbers to get the value of an Olympic Gold Medal. As our economy tightens its belt and the value of our natural resources strengthens, there is an increasing focus on reducing consumption while reusing and recycling where possible. The Vancouver games were no exception and they hold the title of the greenest Olympics to date. The Vancouver medals range in weight from 500 to 576 grams. 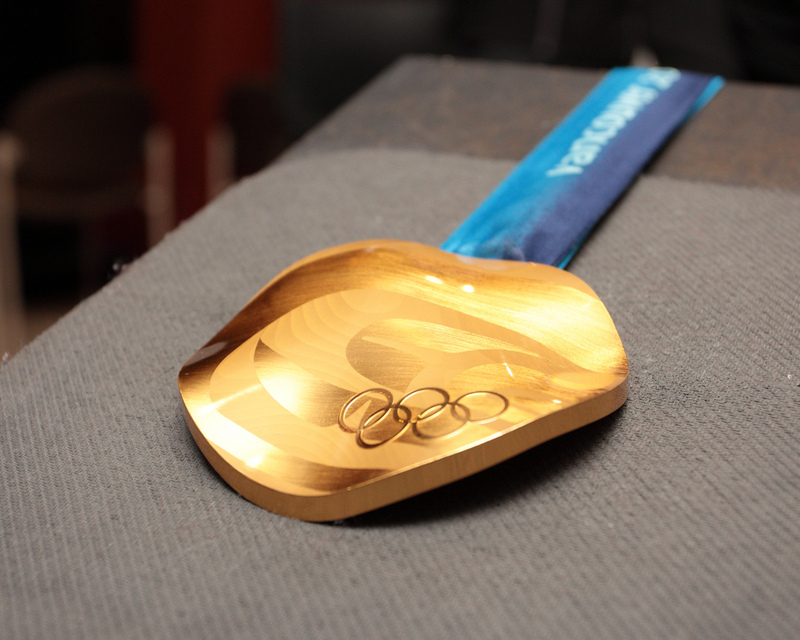 In a 30 part process that included 9 strikings, 1014 medals were created for the games. Part of the metal used was sourced from cathode ray tubes from old TVs and circuit boards from other discarded electronics. In fact, 6.8 metric tonnes of circuit boards were used. The story behind the medals is almost as amazing as some of the athlete’s performances. If you’d like to see the story, you can watch it here. Regardless of whether you believe in global warming or not, there is no doubt that our planet’s resources are endangered. That fact is one of the driving forces in the constantly increasing price of precious metals, oil, gas and other types of energy. Doing your part to reduce, reuse and recycle is good for the planet and will help your pocket book now and in the future. Entry filed under: Be Green. Tags: 2010, grams, green, medal, metal, olympics, recycle, vancouver.